Many of today’s businesses provide underground or low level car parking facilities so that employees can get in and out of work. 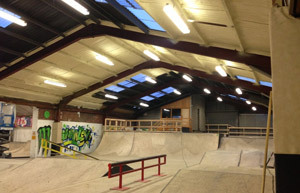 However, many don’t realise that having an underground car park can cause problems with building and room temperatures. Underground car parks are usually very open spaces meaning that cold draughts can freely blow through. 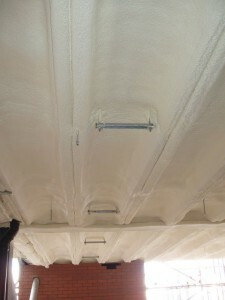 Furthermore, they are generally formed from in-situ concrete which is an extremely poor form of industrial insulation and as a result, cold air penetrates the car park ceiling and it is then transmitted to the floor of the offices or accommodation above. Fixing these problems couldn’t be easier as our car park insulation places a protective barrier on the ceiling of your car park and prevents cold air from getting in. 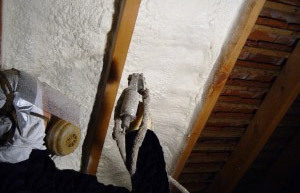 At Sprayseal we use a specialist spray foam which is evenly applied to a surface and acts as a type of sealant. The spray is extremely durable and can be applied to almost any surface. Typical installations take very little time and can reduce U values down to better than 0.25W/m2/oC and we work closely with you to ensure that we cause as little disruption to your business as possible. 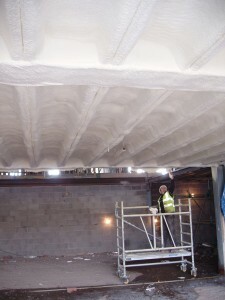 Car park insulation can also help in reducing the overall heating bill for your building. 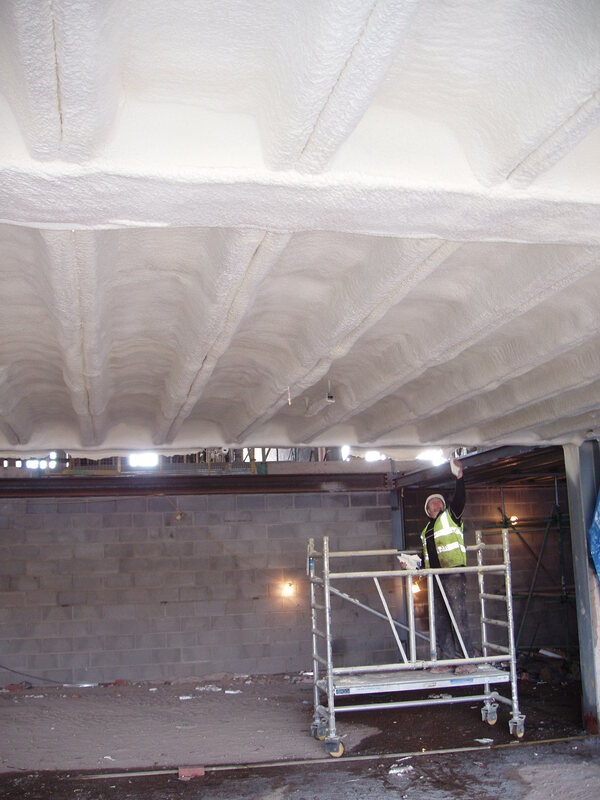 Having a well insulated building means that you wont have to have your heating on as frequently and the working environment is greatly improved. 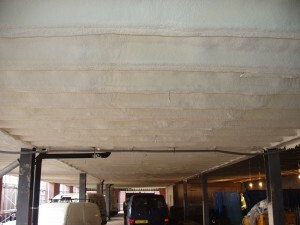 At Sprayseal we constantly update our procedures to ensure that we offer the best quality underground parking insulation in the country. Our team of experts are highly trained and are on hand today to help answer your questions. If you would like an obligation free quote then why not request a quote and we will call you right back.